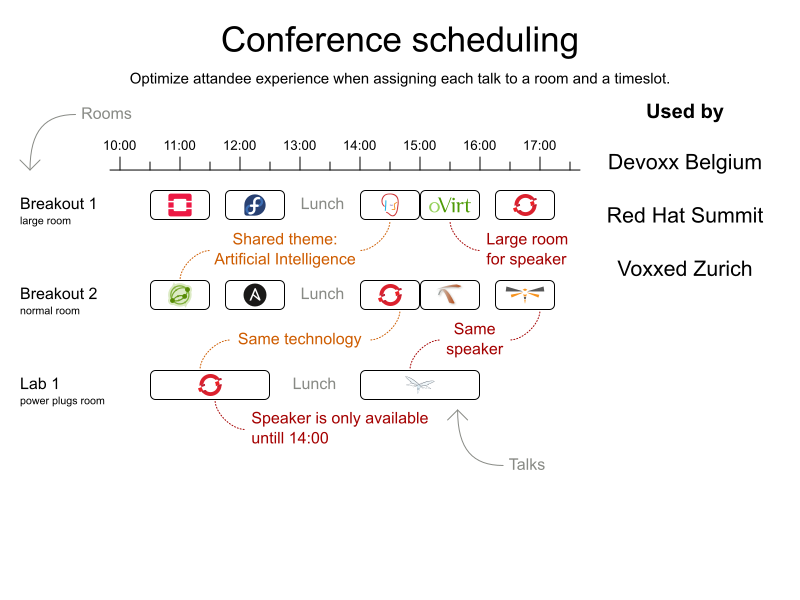 ConferenceSchedulingApp is open source (Apache License) software, because it’s part of optaplanner-examples. To try it, click the green button to download it and then run the examples. 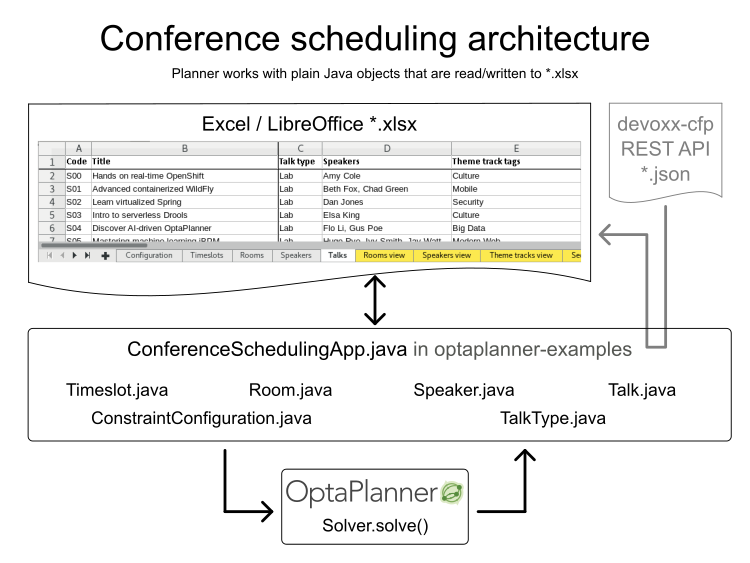 OptaPlanner is the leading Open Source Java™ constraint solver to optimize business resource planning use cases, such as Vehicle Routing, Employee Rostering, Cloud Optimization, Task Assignment, Conference Scheduling, Job Scheduling, Bin Packing and many more. Every organization faces such scheduling puzzles: assign a limited set of constrained resources (employees, assets, time and money) to provide products or services. OptaPlanner delivers more efficient plans to improve service quality and reduce costs.